Festive Foodie Friday is back! Festive Foodie Friday is back! On Friday 8th December from 12 – 2pm we will be at the lawn outside Virgin Active for Christmas food, music and fun! There is bauble bobbing raising money for Marie Curie West Midlands hospice and a make your own bauble crafting station…if this doesn’t get you into the Christmas spirit we don’t know what will! 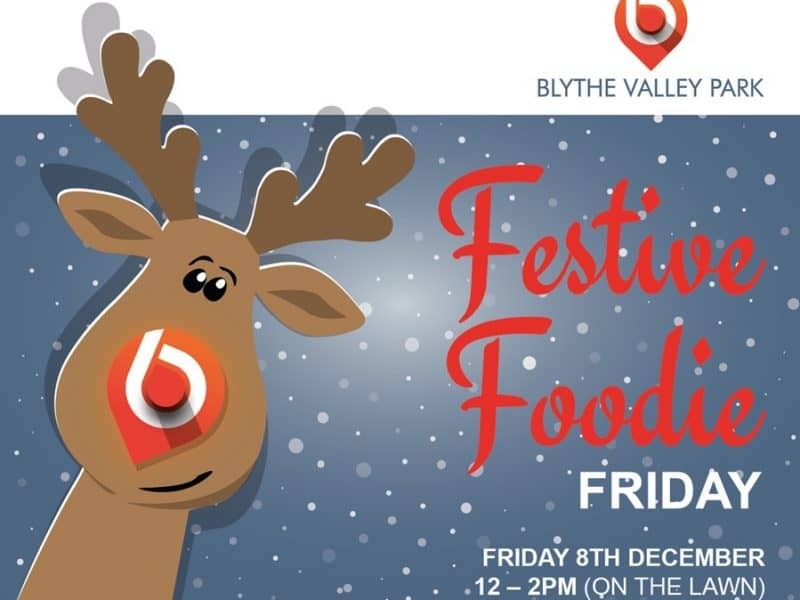 Bring your colleagues, take a snap and tweet us your #festivefoodiefriday selfie @BlytheValley twitter. Click read more to see which delicious delights will be on offer from our fabulous street food traders! Will be serving delicious burgers, hot dogs and more! All menus will have a Christmassy twist and vegetarian options will be available – there is something for everyone!